I worked on the second project in my sketchbook today, but after some experimenting am stumped with how to proceed. I'm looking for your advice. The general concept of the project/idea is to wrap a bangle with lace. I started by test wrapping the bangle in a number of ways. 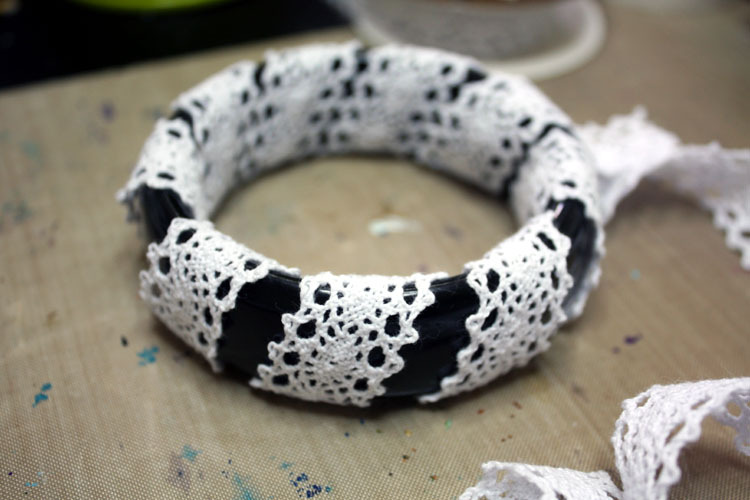 Basically, I succeeded in determining that I had enough lace to wrap the bangle in any of those ways. As well, there was something about the simplicity of the black and white and the lace that gave it a dated feel no matter how it was wrapped. With that in mind, it hit me that I could color the lace with alcohol inks. 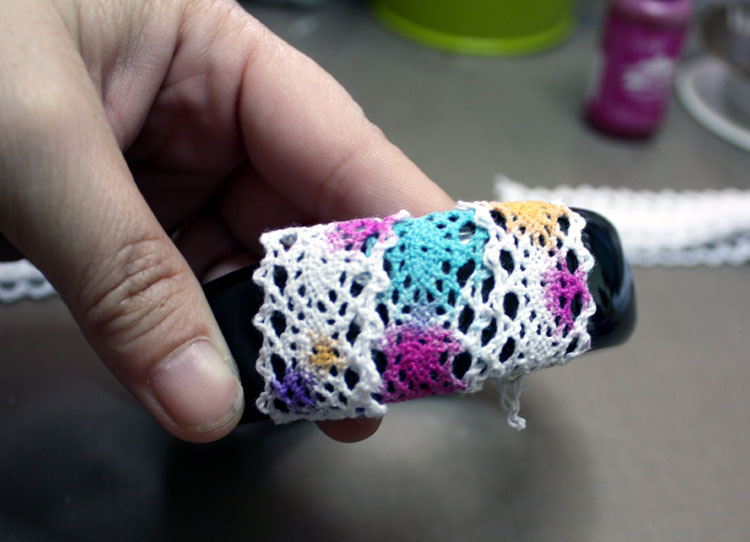 So, I picked out some bright colors and cut a test strip of lace. I knew I still wanted some of the white of the lace to show and really didn't want the colors too touch too much and become muddled. So I dropped the colors randomly and a little distance from one another. This is what I got. How should I wrap the lace? Should I just keep the lace white? Should I use different colors? Should I limit the inks to just one or two colors? Are there other tests I should make? Is this just a bad idea in general? Normally, I don't ask for advice on my creations. However, this one is leaving me with mixed feelings. See. . .it's things like this that make me stall-out and not accomplish anything. Well, that. . . . and the fact that this was just released. 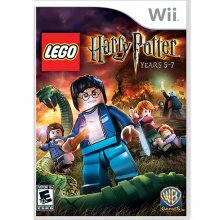 As I feel the pull of the Wii on me, let me try to be strong and eke out a little more info. 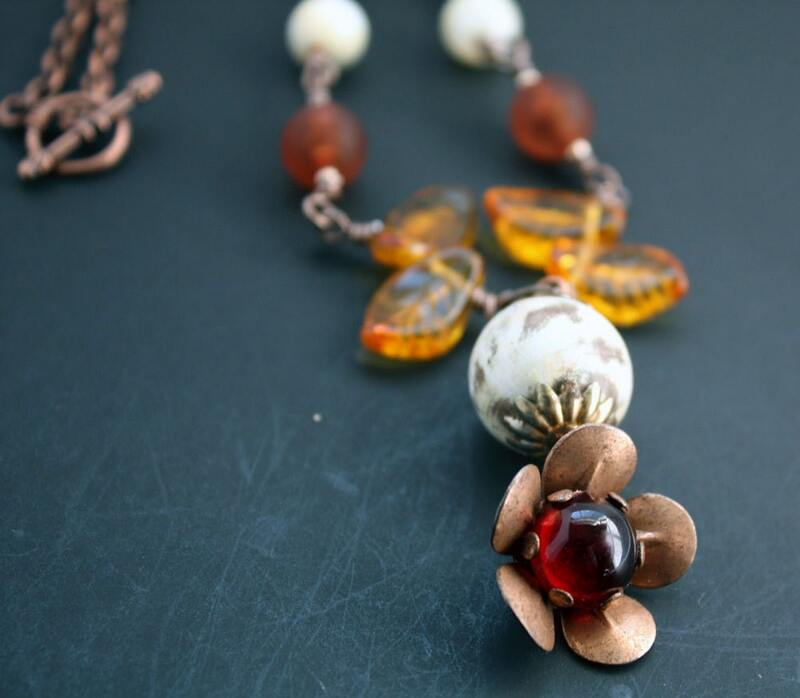 Since Thanksgiving is in ONE WEEK, I thought that it was appropriate to list this necklace. Also, this cute little guy is now on sale. I'm anxious to know what you have to say about my experimentation and if you have any other ideas or suggestions. I appreciate it!! I can see your dilemma. 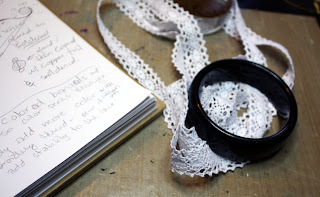 I really liked the first, tightly wrapped bangle, but I also like how the alcohol inks stained the lace. All of the ink colors are pretty on the lace, but I think I would go with just one color. I'm afraid that's not much help for you. I know your bracelet will be lovely and I can't wait to see it when you're finished. These are all good questions, and you may come up with the answer you love most while you are keeping your mind on the wizarding adventures of HP! Personally, I like the white lace- both wrapped tight and loose! 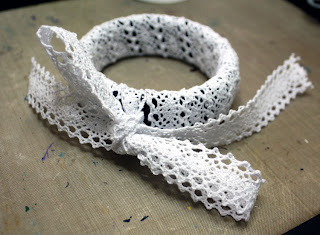 The bow seems too big, so I am wondering if you plan to just stitch the lace down to secure it? Perhaps a few tiny dots of jewelers glue to keep the loosely wrapped lace in place? 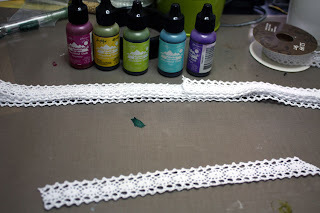 Alternatively, I like the lace either colored in one solid color, or maybe do a banded effect with two or more colors. Ha! 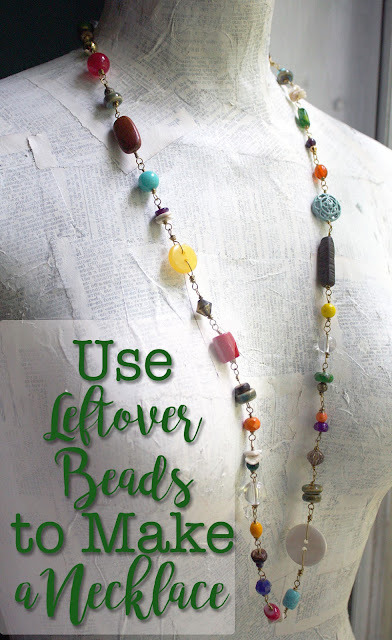 I don't think I helped you at all...this would be a fun project to try a bunch of ways if you had enough materials! Good luck! I wonder what if its possible to water down the inks so they look more like a saturated, watery dye instead of the splotches. I'm thinking of the tea-stained look, but with color. 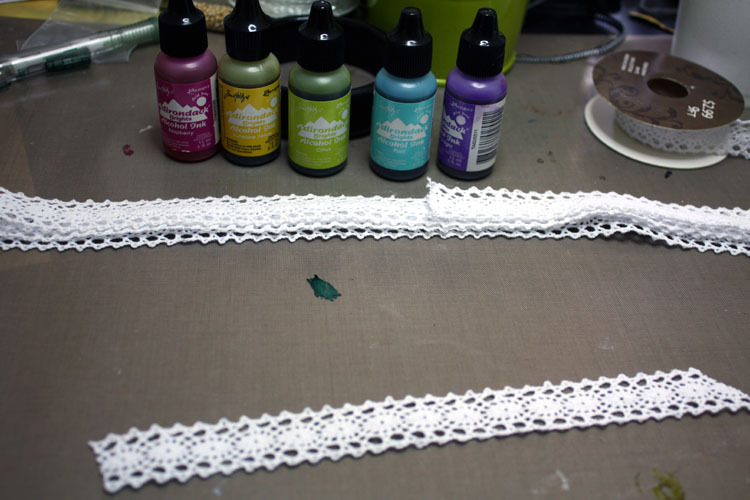 Another suggestion is to just color the very edge of the lace all the way around, but that might be tedious work. Also, I like just seeing the three wraps as in the last photo so you still see the modern black bangle and the soft lace together. Whatever you decide I would just stick to one or two ink colors (my favorite are the aqua and yellow combo). If there are more colors, it might be too busy with the intricate design of the lace. Hope, I like just the white lace wrapped around the bangle with the black showing through the lace, but I really think you should just go with what your gut is telling you. That feeling is normally right. I love the little woodland pal, and the fact that you added one ceramic bead to offset it. I can see the white tight wrapped lace with wire and a variety of mixed beads wrapped over the lace. 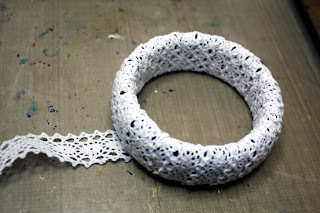 I like the idea of a lace wrapped bangle and I think I like it loosely wrapped best because you get to see the bangle beneath making more mixed media. Personal opinion there! As for the dyes, if you want the colors to be more water colored and run together (I would limit my colors for this), wet the lace, wring it out well, and then drop the dye. You'll see it start to run together. You can experiment with small samples for colors that you like. I do that with ribbon and it gives a lovely watercolor effect to the ribbon. i like the loose wrap and keeping it white lace. or maybe a splash of fuchsia. it is a challenge when we are not crazy about any particular look. can't wait to see what you decide! whatever you do, it is fabulous!!! Jenna- Thanks! That little guy is just so cute. 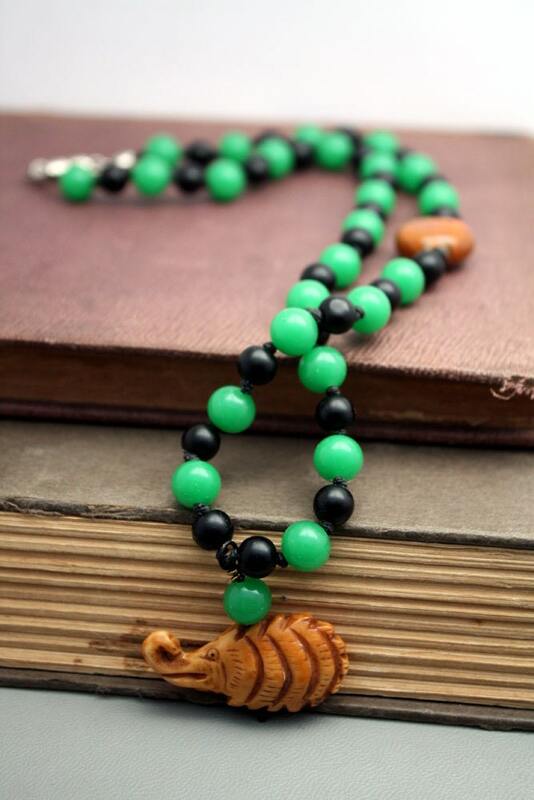 And I'm glad that you like the ceramic bead I added. I wasn't sure how that would go off. The tight wrap seems to be a popular consensus. I think you're right about doing a pattern as well. The splotches are a bit. . .disorganized. Thank you so much for your input!! Shellie- You're a fan of the tight wrap too huh? I do have some more experimenting with the inks in the plans for today after all these wonderful suggestions. Thanks so much for stopping by and having your voice heard! I really appreciate it. Thoughtfulhands- Yes! 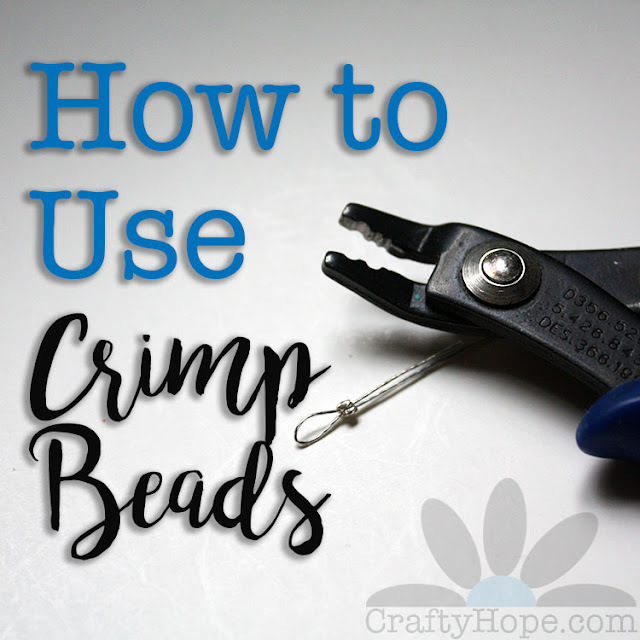 Actually, adding beads with wire or thread was my initial idea. But once I started wrapping the lace I realized that it would almost be TOO TIGHT to get any thread or wire through/under it. I think if I had a different type of lace it might work better. Your idea of wrapping wire AROUND it might work as well. Hmmmm. For now, I think I'm going to try to stay the course and make this lace work. But your suggestion may go down in the sketchbook. Thanks so very much! !